Great service! I am thankful not to have to replace my double oven. OVEN WHIRLPOOL KEBS207SSS02 "Pulled unit from wall. Inspected all prior work. Found original convect fan mounted incorrectly so convect element shorting against bracket. Installed motor correctly. Found wire connector to upper broil element loose and not installed on element. Installed harness, new harness corrected the loose connector. Installed new thermal to replace the burnt thermal and new appliance manager. Reassembled and reinstalled unit. Tested both ovens heating normally." DISHWASHER KITCHENAID KUDE70FVSS3 "Ms pic.Removed soap residue from under the left side of the door, straightened the door a gasket on both sides And tested while working on the double oven.Took a picture of it leaking from the motor sump assembly,y after 25 minutes of running. Needs the ETA TBA. Motor sump assembly WPW10056309.Office to,order and call the customer to reschedule when available. 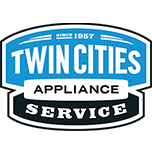 ; ordrng 1 WPW10056309 (MOTOR SUMP.ASSEMBLY)"
REFRIGERATOR KITCHEN AID KRFC302ESS00 "Replaced the icemaker and it filled to the correct level immediately..advised to allow 24 hours for,it to,cool,down to normal operating temperatures. I’ll out to All,inc." DRYER WHIRLPOOL WED9470WW1 "Dryer ....checked dryer operation ..dryer reallly noisey ,,thumping noise .,found drum support roller is worn and broken ,,,replaced 2 rwar drum support rollers ,wpw10314173 ,,,,,ran and tested all operation all working good now ,; used 1 WPW10314173 (DRUM ROLLER) from stock"
REFRIGERATOR KITCHEN AID KRFC302ESS00 "Ms pic aNd of the broken part from the icemaker.Needs a W10886931 icemaker shows 1 available in Brookfield.Charges will be $135.86 for the part, $12.00 shipping , $97.95 trip and diagnostics plus labor and tax when done. Total figured and billed to All, Inc. when repaired.Customer will be Home next Monday. Return Monday 3/4/19. ; ordrng 1 SHIPPING (SHIPPING) and 1 W10886931 (ICEMAKER)"
REFRIGERATOR WHIRLPOOL WRS571CIHZ00 "Shut off valve to the refrigerator does not turn easily. Need to shut off the main water supply. Replaced the inlet valve and dual water valves first, then tested unit. Tests good with a strong water flow and no leaks at any of the water valve connections.Icemaker filled with water like it should." DISHWASHER WHIRLPOOL WDF760SADT2 "Filled with water, paused 4 minutes and drained, then filled with water again. Sounds like the wash motor/diverter valve keeps on clicking between filling with water and draining it.F7-e1 and f5-e1 are fault codes in diagnostics.F5-e1 indicates the door was not shut within 4 seconds of pushing the start button.F7-e1 indicates the optional flow meter or sAlt level indicator for a water softener feature indicator was not working on 1 tech sheet and a heater issue on the other one. The heater applies to this version.Needs a new motor sump assembly wpw10671942 under special with no charge to the customer for the part, due to WP coverage of it. Collected $231.94 today on check number 1659.Return Tuesday 2/12/19. ; ordrng 1 SHIPPING (SHIPPING) and 1 WPW10671942 (SUMP ASSEMBLY)"
DISHWASHER WHIRLPOOL WDF760SADT2 Customer received 1 motor sump assembly. Replaced the old one and it tests good with no leaks.Charges were prepaid..
WASHER WHIRLPOOL WTW8500DW4 Replaced the inlet valve and tested. Tests good. WASHER WHIRLPOOL WTW8500DW4 "Ms pic.F0-E3, F3-e2 and F8-E1 are the codes in diagnostics. F0-E3 means it was overloaded. F3-E2 indicates the inlet valve thermistor is shorted and F8-E1 is a long fill that took over 10 minutes.Needs inlet valve w11165546 from Dvh.Return Friday 1-17-19 from 9-1.; ordrng 1 W11165546 (INLET VALVE)"
RANGE MAYTAG MGR6600FZ0 "Found the outlet that the unit is plugged into, shares a circuit with the bathroom, that has a GFI in line. Called tech line with the findings. Techline documented findings. They advised customer to have a dedicated circuit installed for the range. No further service until the circuit is dedicated. Customer was not accepting of the advise given and still wants unit repaired. Tim will send the customer a note"
RANGE MAYTAG MGR6600FZ0 "Installed control ordered. Ran bake, broil and burner test. All tested ok"